Helping smart people grow in life, work, faith and practice. get clear and move forward. "I was a burnt out frontline manager and had removed myself from the career growth track. Then I met Joyce in a life-changing coaching session. She helped me tap into small practical tips like deep breathing. I rediscovered those things that bring me balance. Joyce helped me remember my why, why I wanted to be a leader in the first place. I have fallen back on these invaluable skills time and time again on my leadership journey." Guidance, encouragement & accountability are utilized throughout the process. Often work-life clients turn to us for their ongoing growth and development requirements for their leaders, employees and teams. Skillful, constructive delivery paired with receptivity to hearing feedback, fosters a true competitive advantage in any culture. We have a reputation for practicing these skills and cultivating them in others. Statistics prove that sustained change is dramatically improved with ongoing guidance, encouragement, and accountability provided within a mentor coaching relationship. We provide these engagements for both individuals and groups. Communication is the single most sought after result within and between teams in any organization. We create the right forums and share proven methods to achieve this objective. In certain seasons, life involves the end of one chapter and beginning of another. The space between what’s gone before and what lies ahead is unfamiliar territory for individuals, teams, and organizations. Changes in leadership, status, ownership, employment often require significant adjustment, adaptation, and learning. We help guide through these uncharted waters. We often stand at a crossroads, a pivotal point in life, work or ministry. This is an ideal time to enlist the aid of a seasoned coach to add a new set of eyes to our situation. Suddenly we see new perspective and options invisible to our eyes alone. Relevant to both individual and organizational change points and thresholds. FREE OF MENTAL CLUTTER AND UNCERTAINTY? 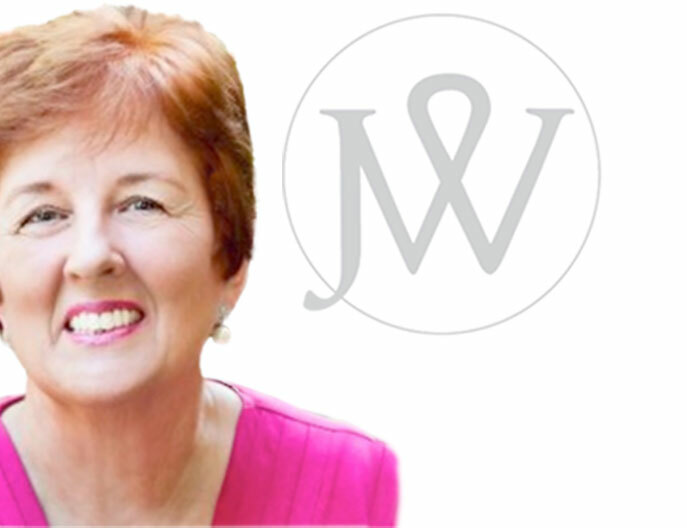 I’m Joyce White, Mentor & Coach to amazing people who want to get free and clear about how to move forward in their lives. We’re looking for a few select clients to focus upon in the coming year. giving one “space” to flourish in life, work, faith and practice. Copyright 2019 WhitesSpace.com. All rights reserved.